The birthplace of 4-H was Jack County, Texas. That’s what the sign said on the outskirts of Jacksboro, that’s what the historical marker at the courthouse said, and that’s what my family told my brother and me when we were kids. Imagine my shock, then, around 1998 when it became possible to “google” birthplace of 4-H. The first hit I read was Cornell University, Ithaca, New York. Cornell based its claim on the agricultural research and training done there in the late 19th century. Cornell and other universities educated future agriculture agents who then fanned out across the country to teach crop rotation and other techniques to make farming more productive. It turns out, 4-H had many birthplaces as teachers spread the word. One proponent of new-fangled ways was Tom M. Marks of Jacksboro. Marks served as school teacher, superintendent, public entertainer, construction engineer for the railroad, farmer, editor of the Jacksboro News, and special county agent for Jack County. On September 8, 1907, Marks organized the Corn Club in Jacksboro. He distributed new types of corn seed among the 111 boys who signed on. Each boy received one gallon of corn. A year later they celebrated the results with Jack County’s first county fair and a trip to the 1908 State Fair of Texas in Dallas. 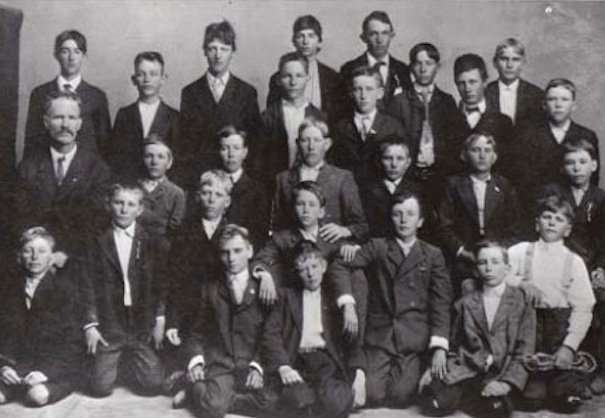 The Corn Club became the forerunner of the 4-H club in Texas. 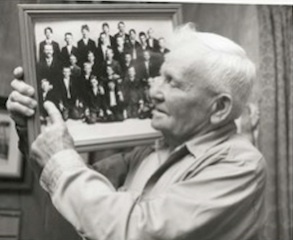 Its members included Rhonda’s maternal grandfather, Boss Smith, and three of his brothers. Boss never stopped practicing the lessons he learned from Tom Marks and the young pups of Jack County, and he supported 4-H and the county fair throughout his life. Today Tom Marks' house is home to the Jack County Museum. Signs on the Jacksboro city limits proclaim the town as Birthplace of Texas 4-H. No one disputes the influence of Tom Marks and his Corn Club on growing the ideas that changed farming and helped create the worldwide organization we know as 4-H.